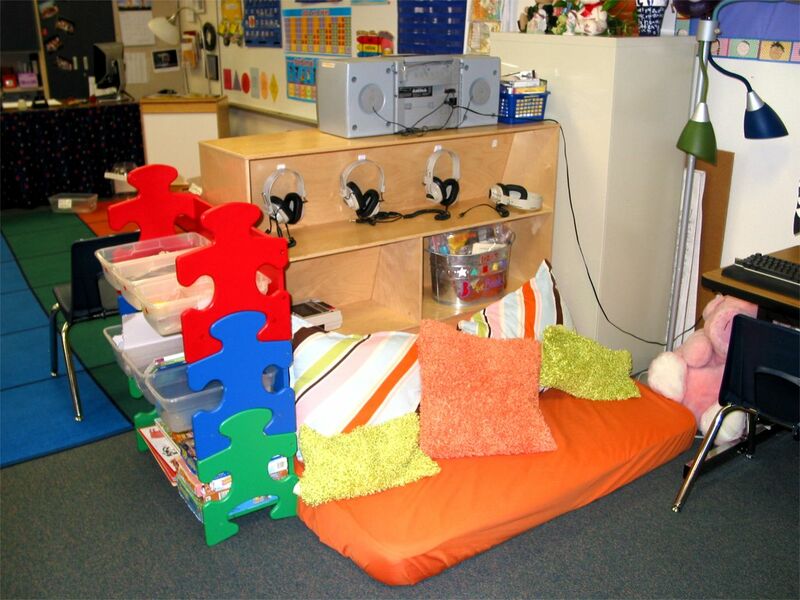 The Listening Station includes several CD/tape players for students to listen to various stories on tape, CD's, educational tapes, etc. 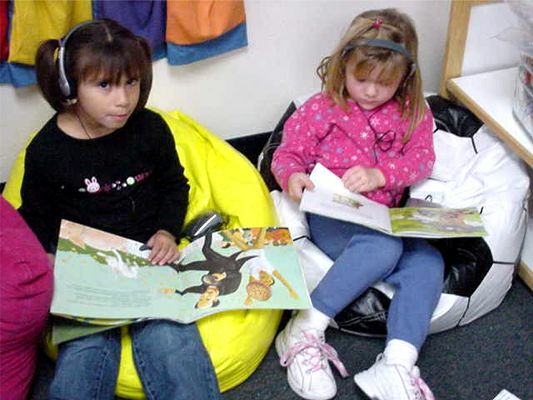 listening responsibly to stories and texts read aloud including selections from classic or modern works. enjoying and appreciating different types of stories, poems, and other forms of literature. gaining knowledge of my own culture and the culture of others. becoming aware of the rhyme and rhythm in some stories. following oral instructions from a tape or CD.